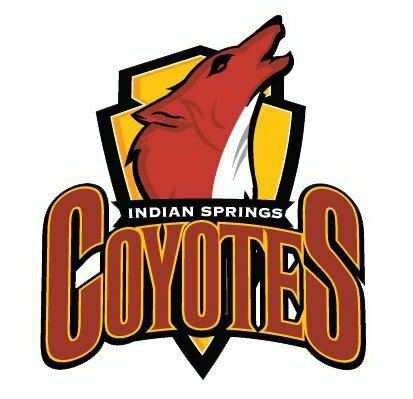 Indian Springs is seeking a new head football coach after the school and head coach David DeWoody parted ways. DeWoody, the only coach in the three-year varsity history of the school, compiled a 5-25 record including a 3-7 record in 2015. Among those losses was a one-point loss to Jurupa Hills. Had Indian Springs won, the Coyotes would’ve finished in a three-way tie for second. Indian Springs Athletic Director John Chamberain said it was a “mutual decision.” The decision was just finalized on Thursday and it has not yet been posted on job sites. Chamberlain said he does have two potential candidates on campus who were not on DeWoody’s staff, but who have football coaching experience. DeWoody was retired from teaching and was off-campus. 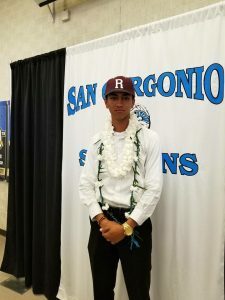 Chamberlain hopes the next coach will be on-campus, but does not know what teaching positions might be available, should the next coach come from another school. “It changes everything with a team to have a coach on campus,” Chamberlain said. Chamberlain said he would like to have a coach with previous head coaching experience. Above, a look at Indian Springs’ new stadium. Much of it is done, a grass field, lights, bleachers and press box. Next week, the track is poured and the remainder of the concourse area, as well as ticket booth and concessions. At the end of the video, you see a heavy construction site. That’s the pool which won’t be ready for a few months now. Before talking about Indian Springs’ 1st win of the season last week, I’d like to say that while I don’t root for teams, I hope every high school varsity team gets at least 1 win per season. Just a chance to taste victory. I’m not asking for every team to win exactly half of their games. I just hope that every team gets a chance to savor victory. When you’re building a program from scratch, there are bound to be some bumps in the road. The Indian Springs boys basketball team hopes those bumps are in the past. Indian Springs earned hits first win of he season last Friday with a 66-54 San Andreas League win over San Gorgonio, improving to 1-16 on the season. “It was tough early on,” coach Jamaal Cannon said. “We had the Bloomington Christian Tournament and we could’ve won two, if not all three games. We couldn’t get any breaks. Indian Springs and Rialto tied 1-1. My guess is that you’re going to have a lot of ties in the San Andreas League. The league goes 2 points for a win and 1 for a tie, so it’s difficult to create separation. And I don’t expect anyone to get separation. Indian Springs boys soccer coach John Arient talks after his team tied Rialto 1-1. 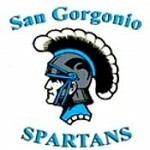 My thoughts: Indian Springs looks good, but the San Andreas League looks like a dog fight. Indian Springs are currently ranked second in CIF-SS, but I’d be surprised if the Coyotes remain No. 2. Why? It has as much to do with the rest of the league. Indian Springs and Rialto have both tied their first 2 games. I wouldn’t be surprised if the winner of the SAL is something like 4-2-4 in league. That might not help CIF-SS rankings, but might help prepare a team for the playoffs.